It has the perfect CEO to make that happen. We already know Bugatti has plans to expand its lineup beyond hypercar coupes. One likely possibility is an all-electric sedan, but nothing has been confirmed just yet. These types of things take time. According to an interview by CarAdvice with Bugatti President Stephan Winkelmann, the company also wants to branch out into another area of expertise: carbon fiber development. Currently, the brand tasked with lightweight technology advancements within the Volkswagen Group is Lamborghini, the supercar brand Winkelmann led for 11 years. It was during his tenure when Lamborghini led the way for carbon fiber development and overall weight reduction methods. The knowledge gained from this has since been applied to other VW Groups, including Audi and Porsche. But Winkelmann has long had a knack for leading change and advancing technologies. "What we offer the VW Group is the expertise of lightweight materials because we are so extreme in the development of our own car, ” he said. Until Winkelmann assumed command, Bugatti only built a single model at a time, first the Veyron followed by the Chiron. Within his first six months on the job, the Chiron Sport was launched and not long after, the Divo. 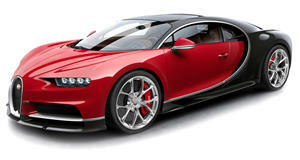 At Geneva last month, Bugatti unveiled the one-off $18 million La Voiture Noire. 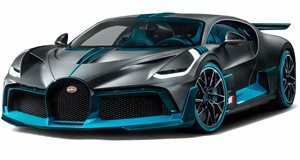 Another reason why Winkelmann is intent to lead lightweight development is that Bugatti will likely skip hybridization entirely and go directly to batteries only in the future. The all-electric hypercar has already arrived, courtesy of Rimac. Winkelmann, however, isn’t about to let this small boutique car company outperform Bugatti in any way. Less environmental impact and more advanced technologies are vital to VW Group’s ultimate luxury and performance brand.